Brett Kavanaugh, U.S. President Donald Trump's Supreme Court pick, appears on track for Senate confirmation after a contentious four-day hearing in which he avoided any major stumbles even as Democrats tried to derail his nomination. Brett Kavanaugh, U.S. President Donald Trump's Supreme Court pick, on Friday appeared on track for Senate confirmation after a contentious four-day hearing in which he avoided any major stumbles even as Democrats tried to derail his nomination. Senate Majority Leader Mitch McConnell, asked by conservative host Hugh Hewitt in an MSNBC interview if he had any doubts about Kavanaugh's confirmation, replied: "None whatsoever." McConnell predicted that Kavanaugh, the conservative federal appeals court judge picked by Trump for a lifetime job on the top U.S. judicial body, would be on the Supreme Court when it opens its new term on Oct. 1. Trump's fellow Republicans control the Senate by a narrow margin. With no sign of any Republicans planning to vote against Kavanaugh, he seemed poised to win confirmation despite Democratic opposition. "I think he made a very compelling case that he is one of the most qualified nominees, if not the most qualified, that we've seen for the Supreme Court of the United States, and I think I've seen 15 of them," said Republican judiciary committee chairman Chuck Grassley, who oversaw the hearing and has served in the Senate since 1981. 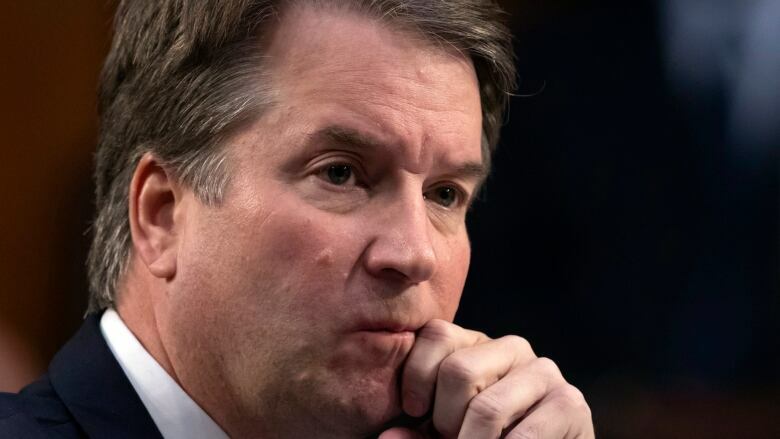 Kavanaugh completed two days of lengthy questioning by senators on Thursday night, keeping his composure under intense questioning by Democrats. Kavanaugh is likely to push the conservative-leaning court further to the right, if confirmed. 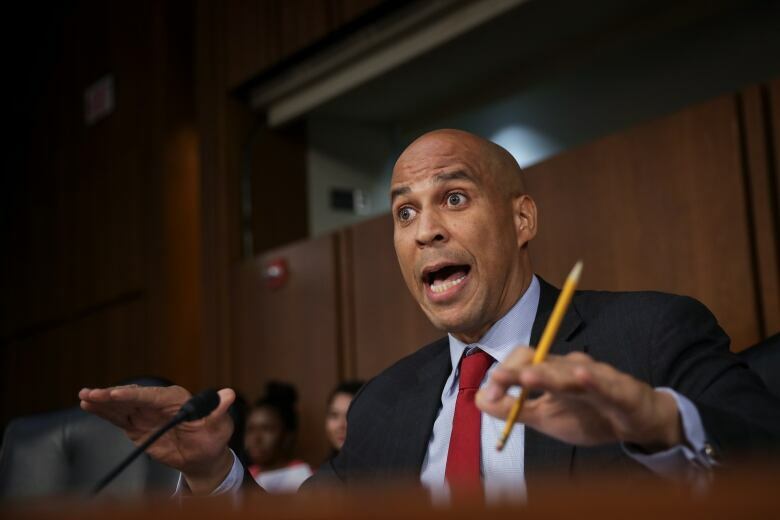 The hearing ended on Friday after the committee heard from outside witnesses testifying for and against the nomination, with anti-Kavanaugh protesters again interrupting the proceedings. Among those testifying were two representatives of the American Bar Association, the leading U.S. professional group for lawyers, who said a panel that rates judicial nominees gave Kavanaugh a "well qualified" rating, the highest possible. Trump picked Kavanaugh, 53, to replace Justice Anthony Kennedy, who announced his retirement in June. After the committee votes on the nomination in the coming weeks, a final Senate vote is expected later in the month. During his gruelling testimony, Kavanaugh maintained a genial demeanour, blunting some of the most aggressive questioning from Democrats seeking to unsettle him. He trod a careful line when it came to Trump. He refused to be drawn into political controversies and avoided comment on matters such as whether a president can pardon himself or must respond to a subpoena or whether he would recuse himself from cases involving Trump. Democratic senators expressed concern about what they saw as Kavanaugh's expansive view of presidential powers. Watch John Dean, the former White House counsel for Richard Nixon, talk about Kavanaugh. John Dean, the former White House counsel who was a key figure in the Watergate scandal that led to President Richard Nixon's 1974 resignation, told the committee Kavanaugh's past writings and remarks indicate his confirmation would create "the most pro-presidential powers Supreme Court in the modern era." In written testimony submitted before Friday's Senate confirmation hearing, Dean predicts that with Brett Kavanaugh on the high court, it will become "a weak check, at best, on presidential power." He calls the scenario "deeply troubling," adding that there is "much to fear from an unchecked president who is inclined to abuse his powers." Documents have been an issue throughout the hearing, and at one point Friday Dean said he's surprised that Kavanaugh "is not demanding every document that he's ever handled be reviewed by this committee, unless of course there's something to hide." Dean, a critic of Trump, is testifying before the Senate judiciary committee at the invitation of Democrats. He co-operated with prosecutors during the Watergate investigation and helped bring down Nixon's presidency. He served four months in prison after being convicted of obstruction of justice. On divisive issues that could reach the court such as abortion and gun rights, Kavanaugh declined to offer personal views, restricting himself to reciting Supreme Court precedent. Kavanaugh signalled respect for the landmark 1973 Roe vs. Wade Supreme Court ruling legalizing abortion nationwide, calling it an important legal precedent that had been reaffirmed by the justices over the decades. Democrats painted Kavanaugh as a threat to abortion rights. Under questioning by Democratic Senator Kamala Harris, New York University School of Law professor Melissa Murray said that even if he does not back overturning Roe, if Kavanaugh joins fellow conservatives on the high court in upholding a succession of restrictive state laws it could mean "death by a thousand cuts" to a woman's right to an abortion. Watch Democratic Sen. Kamala Harris question Kavanaugh on abortion and Roe vs. Wade. In refusing to engage on Trump, Kavanaugh declined even to condemn the president's persistent criticism of the federal judiciary. The president's first appointee to the high court, Neil Gorsuch, last year told senators Trump's remarks on the judiciary were "disheartening" and "demoralizing." The Washington Post reported in December that Gorsuch's comments had angered Trump and that he had privately considered yanking the nomination.